For many of us in the Microsoft Data Platform community, PASS Summit is a bit like Christmas. It’s a chance to get together with our SQL Family, make new friends, and start playing with all of the new toys that Microsoft has gifted to us. By the same token, the first day back at work after Summit is akin to New Year’s Day. We are hungover – often literally, but almost always metaphorically too – from the high of the previous week. But we are also energized by the sense of community and shared excitement that we’ve just experienced. It’s a great opportunity to turn that feeling into a new start! 1. I resolve to spend at least one hour five days a week on physical exercise. I spent all of this year’s Summit under the weather. A sizable (pun intended) component of this is the weight that I’ve put back on in 2018 after losing fifty pounds in 2016 and 2017. This has had a noticeable affect on my breathing, sleep, and general respiratory health, and it’s time to reverse the trend. 3. I resolve to not submit any abstracts for new sessions or pre-cons until they are at least 75% developed. I’ve caused myself a lot of unnecessary stress over the past couple of years by procrastinating about finishing my presentations. I must do better on this front! 4. 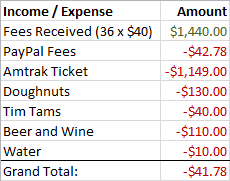 I resolve to document the previous week’s activities on my blog. Hopefully this will help me to keep myself accountable for sticking to the first three resolutions. I invite you all to make your “New SQL Year’s Resolutions” with me, and look forward to toasting to our successes together at next year’s PASS Summit! I would like to express my gratitude to two people in particular: Steve Jones [b|t] and Grant Fritchey [b|t]. The guidance and encouragement that these two have given me have significantly boosted my presentation skills and confidence, and in turn transformed my career as a data professional. Let me tell you a bit more. Steve has been very supportive and encouraging since I began speaking at SQL Saturday events. I remember one presentation in Denver particularly where I wasn’t happy with how it had gone, but Steve was kind enough to say how much he liked the way I’d handled the demo portion, and even recommended to a veteran speaker that he could do worse than follow my example. You can imagine what a boost to my speaking confidence that was! He was also the first person to really push me to submit my R session to Summit last year when I didn’t think I was quite ready yet to step up to that level. Thank you for your backing and inspiration, Steve! Grant attended a presentation of mine in Albany, and I must admit I was a bit unnerved to have one of the “big names” of SQL in my session. Afterwards he provided me with a comprehensive set of pointers including the things I did well and those with which I needed improvement. This list was instrumental in improving my speaking skills, and is the kind of valuable feedback that is rare to receive. The really amazing thing to me was that he prepared this list for me while on vacation with his family! Thank you for your generosity and guidance, Grant! To Steve and Grant, I can’t thank you enough for the impact you’ve had on my career. 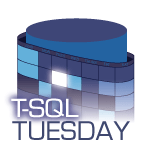 Not only have you helped me grow, you’ve also shown me a model for how I can help others in the SQL community grow too. Now hopefully I can do the same for someone else on their journey. 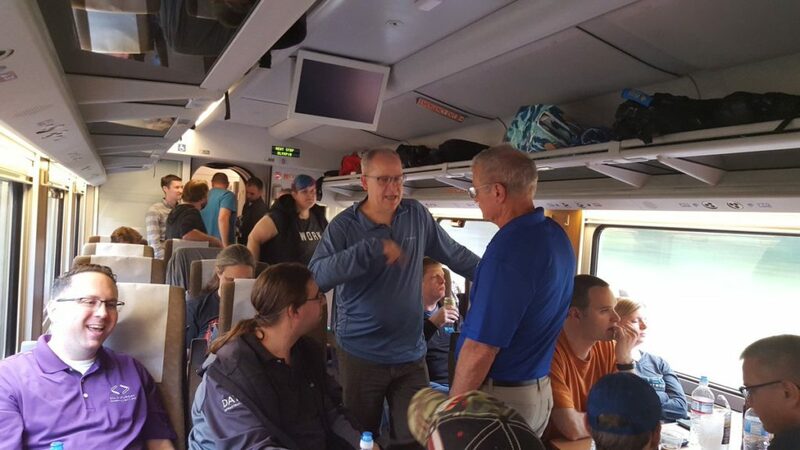 One of my highlights of PASS Summit season was the SQL Train, which ferried me and 35 fellow SQL Server nerds from Portland, OR to Seattle, WA. This is an annual event for those traveling from SQL Saturday Oregon to PASS Summit, and this was the second year for which I was one of the organizers. In 2015, the train had 20 loud and unruly SQL passengers, much to the chagrin and annoyance of the other 16 people stuck with us in the car! Last year Mickey Stuewe [B|T] and I decided to organize the event more formally to see if we could get 36 people on board – enough to fill our own, dedicated train car – and it was a great success. This year, Mickey stepped back from the organizing duties, leaving it all up to me! Things ran very smoothly this time around. Almost all of the passengers paid up on time, and everyone showed up at the correct train station right when they were supposed to do. The only minor wrinkle was that a few folks had to drop out in the week before the trip, but we were able to fill their seats quickly with people from the wait list. 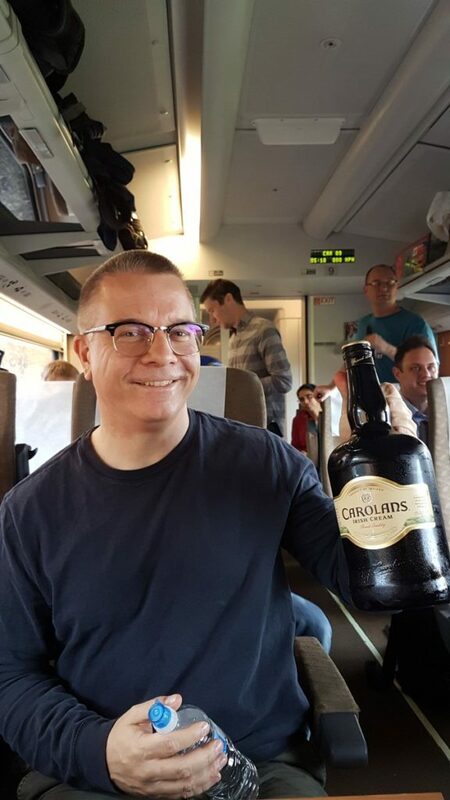 This year the train had SQL passengers from all over the globe: Australia, Canada, Iceland, the Netherlands, New Zealand, Norway, Portugal, South Africa, and from at least ten states within the U.S! I’m already looking forward to next year’s SQL Train, which will be on November 4th, 2018. With any luck we will get enough interest to fill two full train cars this time!